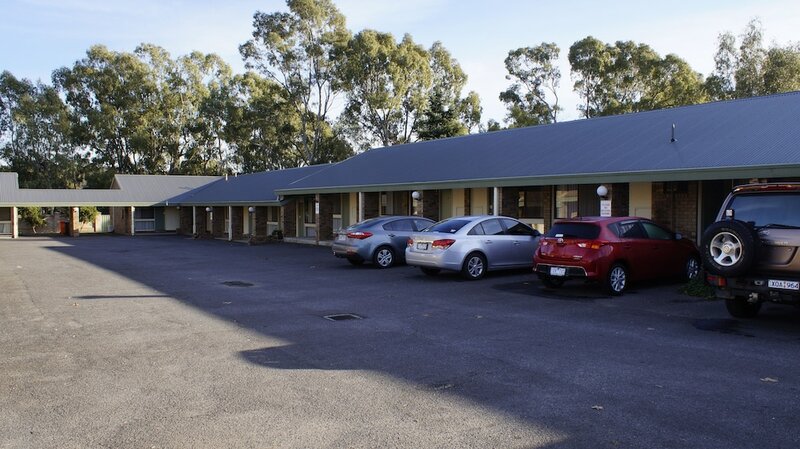 At Bendigo Homestead Motor Inn & Apartments you'll be within a 10-minute walk of Cooinda Park and 2.8 km (1.8 mi) from Lansell Plaza Shopping Centre. Highlights at this motel include a restaurant, an outdoor swimming pool, and free self parking. You can enjoy LCD TVs with satellite channels, and all 28 rooms feature free WiFi, DVD players, and coffee/tea makers. In-room dining is easy with amenities like fridges and room service. Additionally, hairdryers, phones, and irons/ironing boards are available. This business-friendly motel offers free WiFi in public areas, a business centre, and a garden. Added amenities include laundry facilities, barbecues, and childcare. Cooked-to-order breakfast is available on weekdays between 7 AM and 9 AM and on weekends between 8 AM and 9 AM. 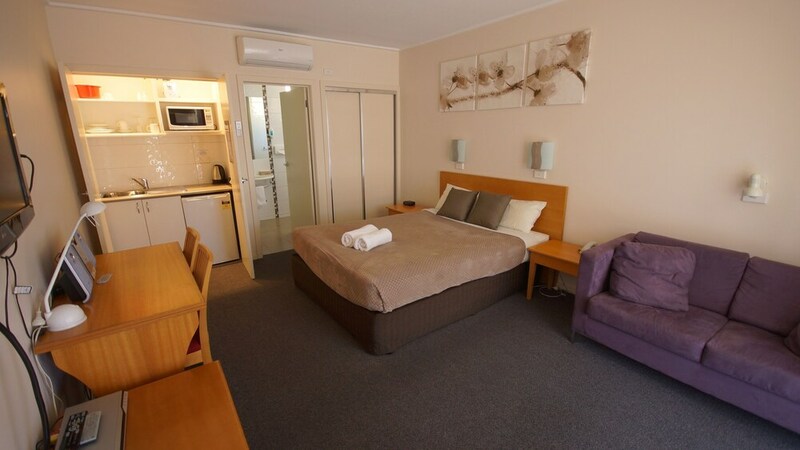 With a stay at this 3.5-star Golden Square motel, you'll be 3.2 km (2 mi) from Central Deborah Gold Mine and 3.5 km (2.2 mi) from Bendigo Stadium. this was a quick overnight stay for work purposes. a little out of the way considering we needed to be in the township of Bendigo but the hotel itself was very comfortable and staff were very friendly and helpful. Thank you for your review and we are pleased that you found your room comfortable and our staff friendly. We are sorry that our location was not in the centre of Bendigo, however our website clearly indicates that we are a short 4.2km from the Bendigo CBD. We are considered a suburb of Bendigo township. Location: Major shopping centre a short drive away. Very comfortable room. Staff were very friendly and helpful in assisting us. We are very pleased that you found your stay with us comfortable and that the surroundings were peaceful for you. Thank you for taking the time to post your review of your stay with us also. We were told firmly that check in is 2pm, not 12.30 when we arrived. The motel was only a quarter full so they weren’t exactly very busy! Piles of dead leaves around the place could have easily been tidied with a leaf blower. Motel had everything needed but is very dated and needs lots of maintenance. It was quiet and comfortable but with lots of motels to choose from in Bendigo, I wouldn’t return. Thank you for your review on your recent stay at our motel. Booking prices are set to incorporate timely check ins and check outs. You were happy enough to continue on touring our beautiful city. Leaves are a constant source of work for us as we back onto our council creek and park lands. Due to the winds overnight and during the morning it is difficult at times to keep up with them. We are however pleased that you found the room to be comfortable and offered everything needed for your stay. Nice and clean! Easy access. Shower and bed were good! The free Kookas cookies topped it off to make our stay excellent. 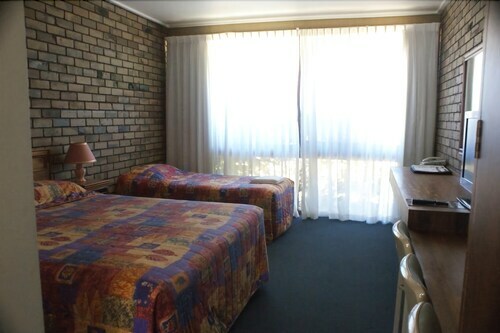 We are very pleased that you were comfortable and enjoyed your stay within one of our motel rooms recently. Thank you for your review and great comments! We look forward to welcoming you back should you visit Bendigo in the future. great pet friendly stay !! Had a great stay for a dog event. Great staff very friendly and answered all my questions about the area. Just a lovely stay will be back. Thought we might experience traffic noise as we were on the main road. Didn't hear a thing room was nice and quiet. Breakfast was served hot and on time, delicious. Will stay here again. Thank you for your time and review of your recent stay with us. We are pleased that you found your room comfortable and quiet and breakfast met your expectations. We look forward to welcoming you back. Thank you for posting a review of your recent stay with us. We are pleased that you had a comfortable stay and we look forward to welcoming you back when you next visit Bendigo. There's a restaurant on site. WiFi is free in public spaces. You'll find a business centre on site. An outdoor pool, tour or ticket assistance, and a BBQ are also featured at the business-friendly Bendigo Homestead Motor Inn & Apartments. Free self parking is available. 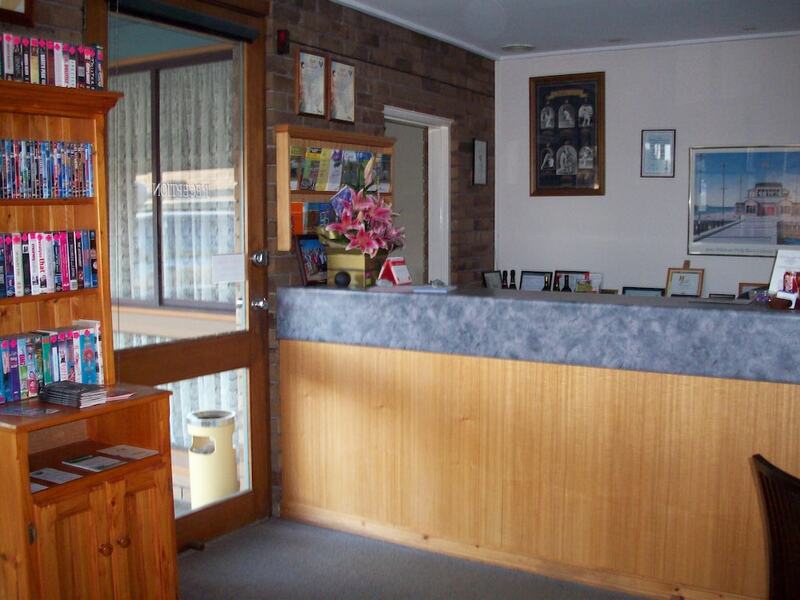 Bendigo Homestead Motor Inn & Apartments offers 28 forms of air-conditioned accommodation with DVD players and coffee/tea makers. LCD televisions come with satellite channels. Bathrooms include a shower and a hairdryer. Guests can surf the web using complimentary wireless Internet access. Business-friendly amenities include desks and telephones. For a fee, guests can enjoy cooked-to-order breakfast on weekdays from 7 AM to 9 AM and at the weekend from 8 AM to 9 AM. Bendigo Homestead Motor Inn & Apartments has a restaurant on site.